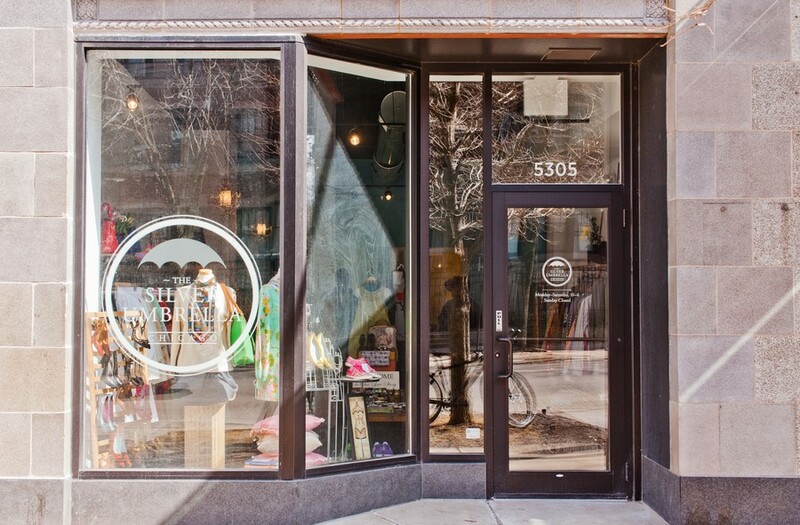 Bargain hunters will no longer have to venture all the way out to Wicker Park and Logan Square, as another thrift store has come to Hyde Park. The Silver Umbrella opened last Wednesday in the Del Prado building, located at East 53rd Street and South Hyde Park Boulevard. The store sells an eclectic variety of gently used clothing, accessories, and shoes for men, women, and children. It also carries furniture, books, housewares, and art. The store’s name, said co-owner Zakiyyah Muhammad, can be attributed to Muhammad’s daughter. “She’s nine years old, so she’s really creative. She said it, and I liked it, so I rolled with it,” she said. Having worked in the fashion industry for more than 10 years as a sales representative and manager of a designer boutique, Muhammad believes style is not costly. In fact, her desire to offer style on a budget served as the main inspiration for opening The Silver Umbrella with her sister. The public is free to sell its gently used items to The Silver Umbrella, though Muhammad suggests sending an e-mail to the store to set up an appointment first. The Silver Umbrella also plans to open an online store on eBay. “Right now, we want people to come and experience the store. Larger items, things that we have that can’t fit in the store, like speakers, will be on eBay. Or, we’ll have a picture of it at the store and stuff like that will be on eBay,” Muhammad said. Muhammad believes that The Silver Umbrella’s target customer is an experienced thrifter.